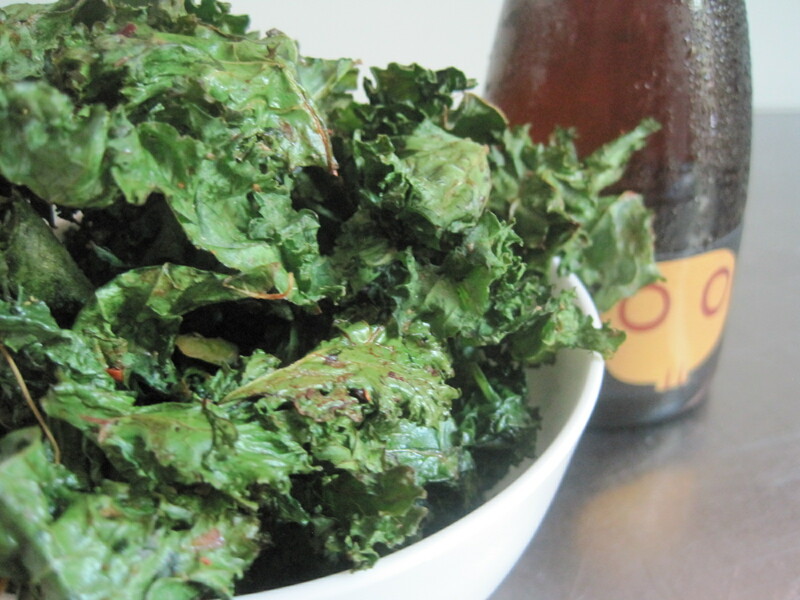 Kale Chips… salty, crispy and great with a beer. It’s Summer here in Australia. A cold beer and a salty snack is the perfect way to toast the sunset and relax after a blistering hot day. Kale chips are easy to make, don’t require deep-frying and are ridiculously moreish… and even if you are not so fond of this self-righteous super-food, I dare you not to like this crunchy little bar snack and empty the entire bowl!